E-RIHS is the only pan-European Research Infrastructure serving the Heritage Science field. It is collecting a strong interest by prominent international institutions and activating important collaborations. Through these strong collaborations, E-RIHS aims at presenting itself as a reference for scientific research not only in Europe but worlwide. ICCROM is the only institution of its kind with a worldwide mandate to promote the conservation of all types of cultural heritage. It is an intergovernmental organization at the service of our Member States. It contributes to the worldwide conservation and restoration of cultural property by initiating, developing, promoting and facilitating conditions for such conservation and restoration. It has five main areas of activity: training, information, research, cooperation and advocacy. The Smithsonian Institution is the world’s largest museum, education, and research complex, with 19 museums and the National Zoo—shaping the future by preserving our heritage, discovering new knowledge, and sharing our resources with the world. Founded in 1846 with funds from the Englishman James Smithson (1765–1829), the Smithsonian purpose is the increase and diffusion of knowledge. Established in 2015, the ANTECIPA aims at connecting researchers in the trans-disciplinary field of heritage science and exchanging knowledge, data and information thus helping the research and conservation of the cultural heritage. GCI is a private, nonprofit institution that works internationally to advance conservation practice through research, education, applied fieldwork, and the dissemination of knowledge. Based in Los Angeles, the GCI focuses on the creation and delivery of knowledge that contributes to the conservation of the world’s cultural heritage. With its multidisciplinary staff, the GCI develops innovative approaches and model conservation strategies for built heritage and collections, and serves as a trusted source of information and education for the cultural conservation community. 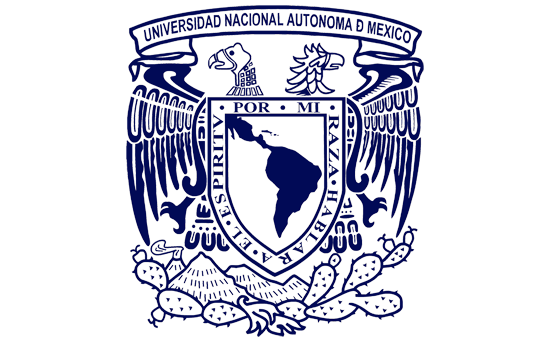 The National Autonomous University of Mexico takes as a mission to teach higher education courses to educate professionals, researchers, university professors, and technicians who will provide a useful service to society; to organize and to carry out research, primarily on the national conditions and problems, and to extend with generosity the benefits of culture to all sectors of the population. Its substantive functions are teaching, research, and dissemination of culture. Established in the 17th century, the Universidad Nacional de San Antonio Abad del Cuzco provides scientific, technological and humanistic professional training to university students and recognizes the values, principles and social responsibility of the natural-cultural diversity.